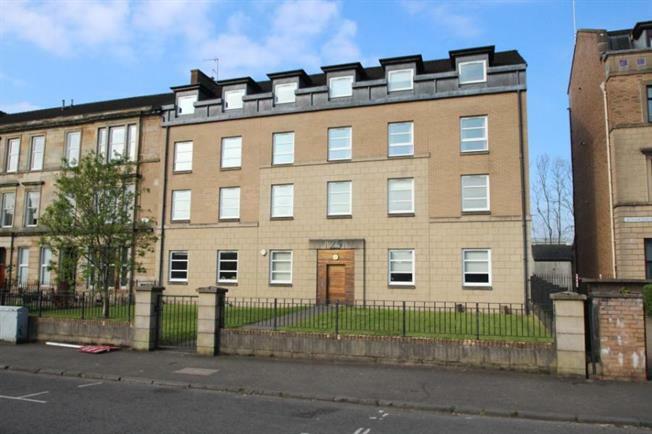 3 Bedroom Upper Floor Flat For Sale in Glasgow for Offers Over £220,000. Seldomly available within this popular area of Partick, ideally placed for local amenities and public transport on Dumbarton Road as well as access to Byres Road is this modern 2nd floor flat. Offering fine open views over the cricket ground, this property is sure to appeal to a variety of purchasers and early internal inspection is strongly advised. The accommodation on offer comprises welcoming reception hallway, lounge with open plan dining room and modern fitted kitchen with oven, hob and hood, integrated fridge and freezer. The three bedrooms to the rear of the property (master en-suite) and family bathroom. Features of the property include double glazing, gas central heating, video entry system, communal garden grounds and private residents parking.